If you have had people to do your academic work for you, why are you acting like you’re a profound intellectual? Why are you trying to belittle people now that you have your degree(s), especially when you received the grades you did because you turned in other people’s work? If you were such a tremendous scholar, why have you or do you have to sit up and wait for someone to do your work for you? It’s time to let you know that at many colleges and universities across the nation there are no statutes of limitations that prevent these institutions from taking your degree(s) away from you for committing academic dishonesty/academic fraud, especially for egregious cases of academic dishonesty/academic fraud. While many people like to suggest that individuals who attend online universities are getting people to do their work for them, the truth is numerous students have and are getting people to do their work for them at traditional brick and mortar universities. Before those who have attended and are attending traditional brick and mortar universities attack students enrolled at online institutions as plagiarists, consider the many people who attended or attend your brick and mortar institution and plagiarized, even possibly yourself. The problem with having people to do your work for you is when you graduate you’re not able to meet the expectations of your employers that your grades and degrees suggest that you can. Some people have allowed themselves to believe they actually have earned the credentials others have gotten for them. 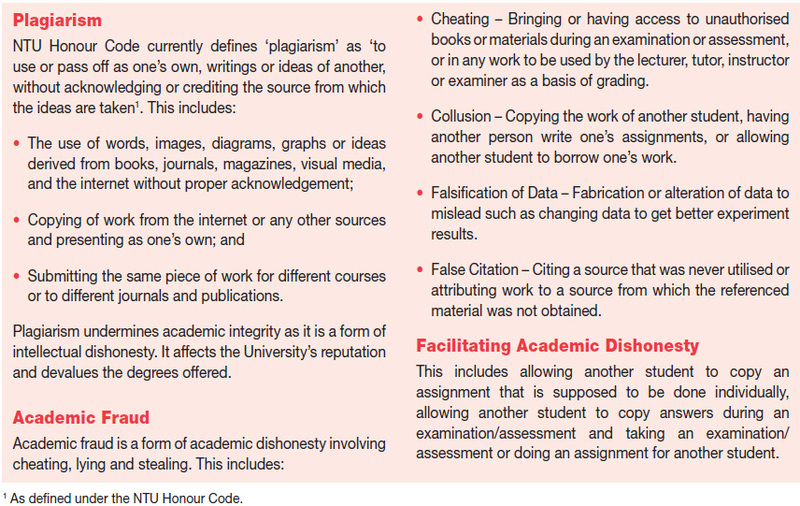 If someone has ever completed work for you at school and you submitted it, you committed academic fraud; that is, you submitted work that was not your original work as your own. When you know you have not completed some, most or all of your work while attending college, do you not know that the knowledge, skills, and talent you lacked in college is going to come back to haunt you? You may fool some people but you ultimately will not be able to fool your employer for long. Your employer will eventually discover that you’re not the person you advertised yourself to be, even though you have the degree(s) in the appropriate field(s). Okay, if you were able to cheat your way through school, shut up, close your mouth, and stop bragging about credentials you did not earn. Get your money and stop posing as the intellectual that you are not. In fact, people find the posing as an intellectual that you do to be quite strange anyway: You present yourself in one way and they see you in a totally different way. The National Collegiate Athletic Association (NCAA) should have declared Cameron Newton ineligible to participate in NCAA intercollegiate athletics until a full investigation into various allegations about Cameron Newton could have been conducted. Although Cameron Newton has played phenomenally this season, this should not give him any special privileges. 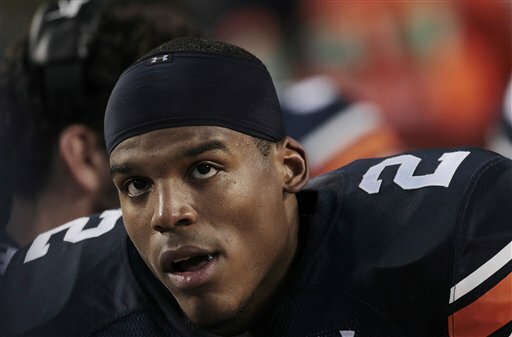 The NCAA has found that Cecil Newton, Cameron Newton’s father, did seek money in exchange for his son’s signing with certain schools, but the NCAA contends that Cameron Newton did not know anything about it and neither did Auburn. Yeah right! Cam Newton claims that he did not know that his father was seeking money in exchange for his signing. Yeah right! If the NCAA does not immediately declare Cameron Newton ineligible and take away all of Auburn’s wins this season, then the NCAA will prove without a shadow of doubt that it is a corrupt cartel. Now, if I would have interviewed Cameron Newton after he won the Southeastern Conference (SEC) Championship against the South Carolina Gamecocks, the interview would have went tremendously different. Trust me—I would not have allowed his use of a hackneyed biblical scripture to prevent me from asking him probing questions. My first question would have been where’s your daddy? My second question would have been did you commit academic fraud on three papers while a student at the University of Florida? If he answers no to that question, I would then ask him why are credible people associated with the University of Florida who oversee disciplinary issues involving students saying that you did? Next, I would ask him do you really expect for the American people to believe that you did not know that your father was seeking money in exchange for you playing at a certain school? I would finally ask him why is it that you always find yourself surrounded in controversies involving illegal and criminal activities? I would end by telling him that the scripture that he used only refers to those who are saved—he cannot be saved with all of those lies he continues to tell. Repent Cameron Newton! The interview he gave after the SEC Championship game would have certainly went very differently if I was the interviewer—that’s for sure. I’m too intelligent, too skilled of a questioner, and too unsettling of a person to allow him to evade those aforementioned questions that most people want real answers to. I would have asked probing follow-ups to those questions. It would have been a post-game interview to remember! The NCAA has simply been unfair in how it has treated Cameron Newton in comparison with how wrong they treated A.J. Green of the Georgia Bulldogs. Did A.J. Green and/or Georgia not have enough money to please the NCAA? We need to replace the NCAA with a serious governing body that will be a fair agency to oversee intercollegiate athletics. At the end of the day, Auburn is a fraudulent university and Cameron Newton is a fraudulent student, student-athlete, and person. Oh yeah, Cecil Newton is a fraudulent person and pastor.